Chicago’s Open Air festival has announced its lineup for this year. The festival will occur between the 15 and 17 of July and will be performed at Toyota Park in Bridgeview, Illinois. 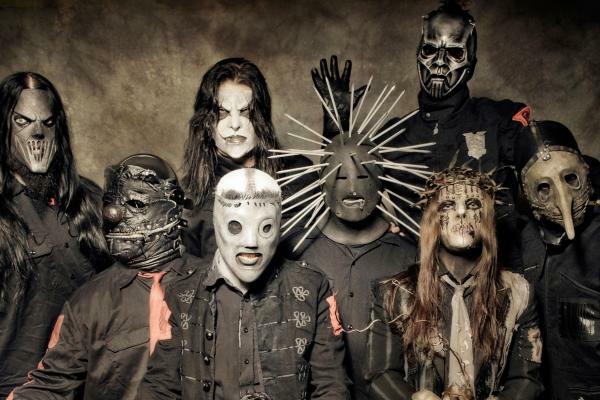 The headliners for this year’s festival include: Rammstein, Disturbed, Slipknot, Chevelle, Korn, Five Finger Death Punch, Ministry, Breaking Benjamin, Marilyn Manson, and Of Mice & Men. The festival will include craft beers and food from the Gormuet Man Food Festvial that takes place during the same time. This festival will be the first show in Chicago by Rammstein since 2012. 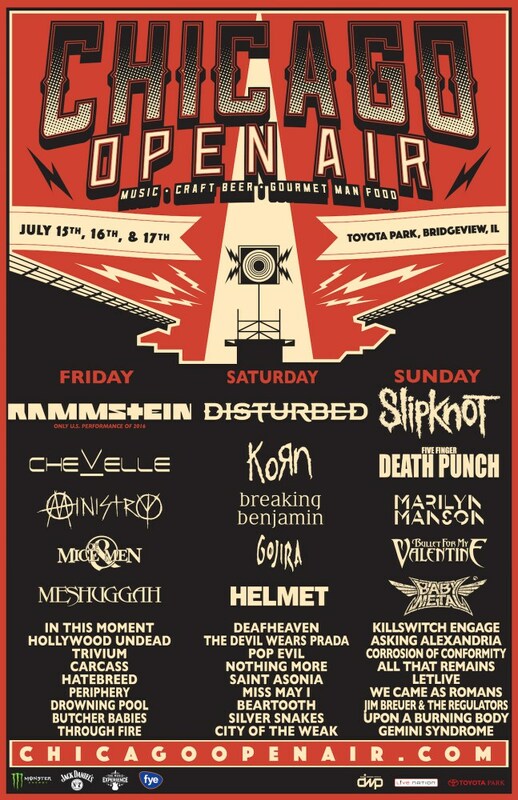 Chicago Open Air has over forty bands that will elapse over the three day period the festival will be held. The festival will include local and regional cuisine, craft beers that highlight the top brews from Chicago, and other forms of entertainment that will be hosted by Jose Mangin from Sirius XM’s Liquid Metal. Tickets can be purchased on the festival’s website. General admission and VIP tickets are available are on sale now through the festival’s link in the article.